Brussels is one of those capital cities that has grown so large they have a designated "Tourist-History Quarter". Numerous buses of camera wielding tourists embark in search of the "Little Boy Peeing Sculpture", purchases of famous Belgium chocolates, a short break for waffles, beer and mussels - then back on the bus. To be honest, there isn't a good deal more to Brussels, and there doesn't have to be - all of those things are fantastic, (apart from the peeing boy sculpture) and when you add the majestic facades of the La Grand-Place and the rows of restaurants side by side, it makes for a wonderful experience. Brussels is very proud of their Musee Rene Magritte - a museum of surrealist painter Magritte and it is worth the visit. I love views, so of course The Cathedral Notre Dame sitting on a nearby hill is also quite impressive. 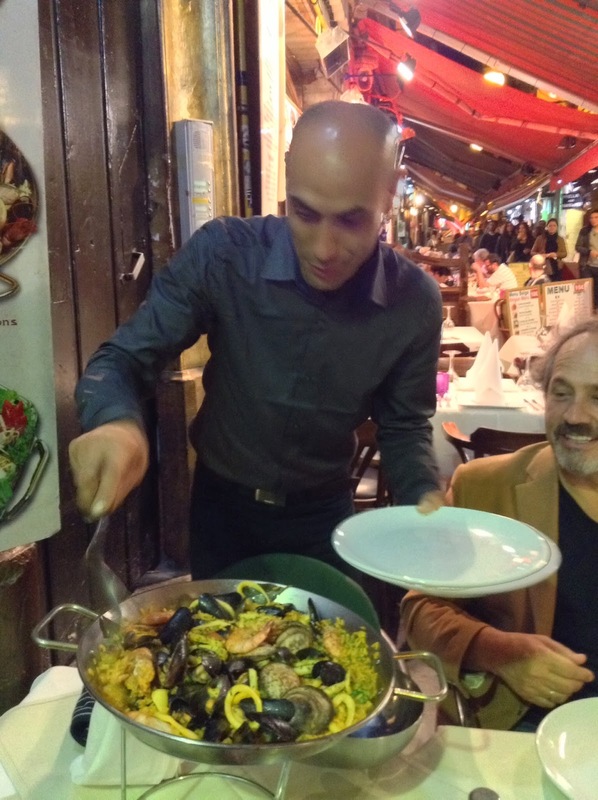 Our 1st night in Brussels and everyone eats mussels in a dozen different ways, (not my preferred shellfish) but to be in the spirit of the city we chose Valencia style Paella with Mussels at a very busy outdoor street cafe. We were encouraged by one of the many "Hosts" to join them for a meal - a lot of pressure to choose the right restaurant since there are maybe 60-70 restaurants on top of each other. We finally chose a restaurant named "Richard's" (hmmm...). It was a sensory filled night with people watching, buckets of mussels and plenty of beer - what is not to love? There was that Beer Museum we missed- drat!